Audi's entry model has received a massive makeover... the newcomer comes to market brimming with new engines, updated tech, a smart infotainment system and more, all of which is wrapped in a stylish package. We headed to Spain to see if it's worthy of your hard-earned Rands. The Audi A1 plays in the rarefied premium compact hatchback segment. 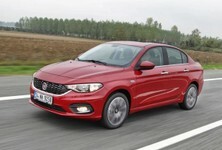 BMW would argue its Mini products are rivals to the A1, which is fair, Mercedes-Benz can offer up Smart, but those funky cars have never really lit up the sales charts, Alfa Romeo's discontinued the Mito, Opel soldiers on with the Adam and the Fiat premium offshoot Abarth is decidedly a left-of-field choice. You could also argue that one of its rivals comes from within the VW family, in the form of the new, locally produced, MQB-based Polo. What we know so far is that the new A1 will again be priced in the premium bracket and, given the difference between it and the Polo (on which it is based), can Audi's newcomer offer that much more? Let's find out. Based on the MQB platform, the new Audi A1 is bigger and more spacious than ever. Firstly, just look at it! It's a car dripping in attitude and the combination of sporty design and vibrant colours endows this car with a radical personality. It's palpable that this car is the polar opposite of what Audi usually comes up with and it represents a marked departure from typically conservative (and, no to be too unkind, largely derivative) design formula. Audi offers no fewer than 10 exterior colours to choose from, as well as the option of going the 2-tone route. Some of the colours have funky names too, like Turbo Blue and Python Yellow. Secondly, the biggest change comes under the skin, where the new Audi A1 is underpinned by the MQB platform, which also forms the basis of the bigger A3, as well as several other products in the Volkswagen Group. The major benefit of going the MQB route is better packaging and more space. Speaking of space, the new platform means the new Audi A1 is 56 mm longer, with a wheelbase that has been lengthened by no less than 94 mm. Width and height have both decreased by 6 mm and 13 mm respectively, but you'd be hardpressed to feel those changes. The luggage capacity is claimed to sit at 335 litres, which is 65 litres more than the outgoing model's. There is a selection of engines available, all of them will make their way to South Africa. Kicking off the range is the A1 25 TFSI packing 70 kW and 175 Nm. Next up is the A1 30 TFSI, featuring the same powerplant, but in a higher state of tune (it produces 85 kW and 200 Nm). Both of the 1.0-litre motors are 3-cylinder mills. The range-topping version is the 2.0-litre turbocharged motor producing 147 kW and 320 Nm in the A1 40 TFSI. Petrolheads will notice that this is the same 4-cylinder engine as used in the Volkswagen Polo GTI. There is also a 1.5-litre petrol motor with 110 kW and 250 Nm, which we'll be getting from launch and it comes with an A1 35 TFSI designation. All the derivatives that are bound for the South African market will be front-wheel driven (there's no quattro version) and exclusively offered with S Tronic dual-clutch (automatic) transmissions. A version of Audi's Virtual Cockpit digital dashboard is available. Graphics are crisp and clear. The new Audi A1 positively brims with many features pinched from the bigger models such as the A8. In terms of safety, the Audi A1 comes standard with lane-departure warning, a speed limiter and Audi Pre-sense at the front. You can optionally specify features such as adaptive cruise control with stop&go functionality as well as auto parking, to name but a few. The first thing you'll notice when you step inside the new A1 is the completely overhauled cabin, which shows an impressive level of attention to detail. The infotainment screen is angled towards the driver, the air vent positioning forms part of the dashboard and there's the option of Audi Virtual Cockpit, which we think is a peerless infotainment system in this segment. 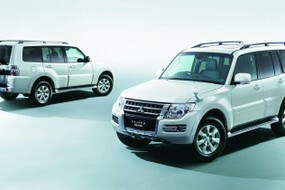 Standard safety spec is impressive too, with numerous airbags, automatic emergency braking and lane-keeping assistance. At the time of writing, this latest generation A1 had not been tested by Euro NCAP, but seeing as it's very closely linked to the Volkswagen Polo (which scored reasonably well), we think the Audi A1 should be one of the safest cars in its class. While final SA spec is not yet confirmed, our European test units featured push-button start, a wireless charging pad, 2x USB ports, heated seats and in-car 4G WiFi. It would be a trifle unfair to simply label this A1 "a Polo in Audi clothing". While there is a considerable degree of mechanical overlap, the A1 feels more substantial and solid, undoubtedly due to the implementation of some additional NVH material, which gives the cabin a quieter ambience. The engine noise and associated vibrations have been snuffed out too; at idle, the newcomer gives you only the slightest hint that its engine is running... Let's not forget the luxurious cabin, with its extensive use of high-quality materials, either. The first derivative we drove was the 2.0-litre turbocharged A1 40. Its 6-speed S Tronic transmission effortlessly flicked through the gears as we threaded our way on the rain-sodden roads of Malaga. We appreciated the powertrain's responsiveness and flexibility – the car didn't need to be in its sportiest setting to executive some brisk overtaking maneuvres. Audi claims this version can accelerate from 0 to 100 kph in 6.5 seconds, which gives it quite a performance slant. Seeing as it is front-wheel-driven, tremendous wheelspin ensues when you summon all 320 Nm in 1st gear. Its real strength lies in overtaking ability, however: a deft flick of the left (downshift) paddle puts the engine right in the sweet spot and when in Dynamic mode, a mild induction roar and softer-than-expected exhaust pops accompany each gear change. Despite having the ingredients to be a pocket premium hatchback, the flagship version doesn't quite deliver the thrills... suffice to say this derivative is more GT than GTI. There's no chance of an S1 version seeing the light in the immediate future either, according to Audi, which we find odd. The previous-generation S1 was hilariously good fun and despite the fact that its compact packaging ruled out the implementation of a dual-clutch transmission, the car's manual gearbox was more than up to the task. This new version of the A1 has the space for a bigger engine and we'd assume it'd be easy to fit a more powerful version of the celebrated EA888 motor... Watch this space! You can spec your Audi A1 with white alloy wheels, red brake callipers and a sporty kit. The 2nd derivative that we drove is likely to be the range's volume seller in South Africa. 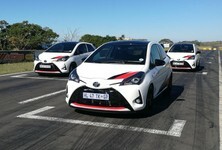 The 1.0-litre will be available in 2 states of tune so we jumped into the higher-powered 85 kW/200 Nm A1 30. It boasts a credible 9.5-second 0 to 100 kph sprint time. 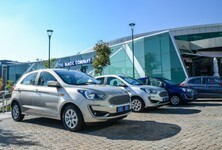 Admittedly, it was fitted with a manual gearbox, which we won't be getting in Mzansi, but we were able to ascertain that the engine shows some eagerness as you pile on the revs, accompanied by the smallest of hums from the 3-cylinder motor. It comes on song around the 2 000-rpm mark and does not let up until the rev counter's needle nudges 6 000 rpm. 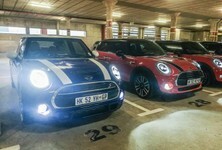 It's an entertaining-enough car to drive, which makes up for the underwhelming experience of the 2.0-litre version. As for the newcomer's steering and handling characteristics, the A1's tiller has an action that is light around town, but with just enough weighting to give you some credible feedback when you want to traverse winding roads at an enthusiastic pace. It's reasonably tame to drive too and only when you're really pressing on, does the A1's front-end tend to push (in other words, exhibit signs of understeer). Granted, we drove in wet weather and conditions were decidedly slippery on our test route in the Andalucian region of Spain. The new infotainment system takes all the learnings of the previous versions and improves on them dramatically. Class-leading? Yes! In terms of ride quality, our test units were fitted with higher-sized alloy wheels (than standard) and the roads we drove on were not the smoothest, so it was tough to make a fair assessment of the A1's general ride quality. We will say, however, that on smoother sections of tarmac, when adorned with smaller wheels, the Audi A1 should ride relatively pliantly. The Audi A1 is bigger and better in every way, and it's coming to SA in 2019. Before we pass judgement on the new A1, we must make it clear that the units we drove were European-spec and, at the time of writing, there was no indication of the trim levels that would be offered in South Africa. We'd love to see liberally equipped Audi A1s on local showrooms, but given our exchange rate instability, we wouldn't be surprised to find that some (if not most) of the nice-to-have features will be omitted from the standard-spec list. The alternative would be a product that's significantly more expensive than its predecessor. That being said, the A1 feels expensive. If you bought one, you'd get a bigger car that offers excellent fit and finish, a premium driving experience, punchy powertrains and a smart and intuitive infotainment system with a slick interface. We'd lean towards the top-spec derivative with the 1.0-litre engine, as it offers spritely city performance and reasonable economy. 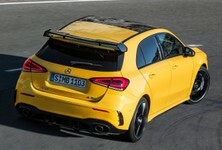 The bigger MQB platform has made the new Audi A1 bigger and the entire package is better for it. The new tech brings the A1 bang up to date (perhaps even to the forefront of its class) and the engines are decent. Our only gripe is the lack of driver engagement, even if it looks the part. Those 3 bonnet slats pay homage to the original Audi Quattro rally car; the newcomer can be kitted out with white wheels and made to look like a road-legal racer, and yet, in terms of the driving experience, the littlest Audi is no thrill ride. Does this matter though? Of course not, as the vast majority of A1 customers will be after image, refinement, comfort and connectivity. Just as well the new Audi A1 ticks those boxes with ease! At this stage, pricing for the new A1 is not confirmed, but we can speculate on the starting price. The entry-level version of the outgoing model started at R304 500, but given the significant improvements incorporated in the new version, which will go on sale in South Africa in the 3rd quarter of 2019, we think the range will start in the region of R350 000. 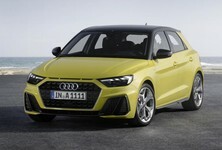 We look forward to assessing the new Audi A1 on SA soil when it arrives next year. Want to buy an Audi A1?